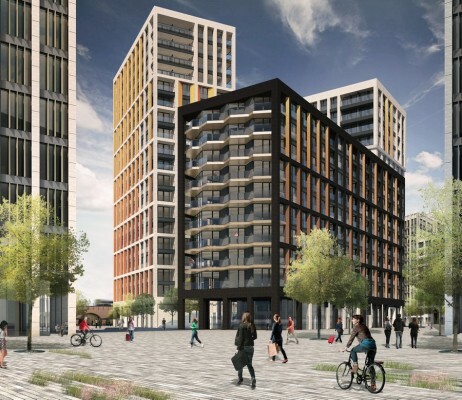 Transport for London has received resolution to grant consent for the Nine Elms Over Site Development (OSD), in a unanimous decision by the Lambeth Council Planning Committee. 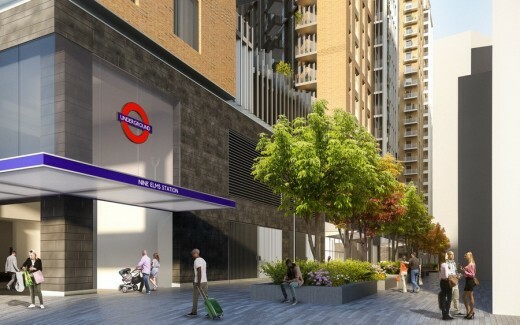 The TfL-commissioned project was designed in collaboration with Mott MacDonald engineering, with landscape design by John McAslan and Partners. The London Underground station, also designed by Grimshaw and Mott MacDonald, will be part of a separate planning application. 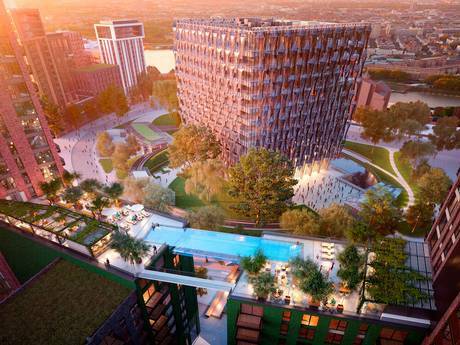 The proposals will create a characterful place both at the scale of the city and an individual apartment. The arrangement and massing of the buildings respond to the existing and emerging context and create a range of public spaces including a new 1,200sq m public square. 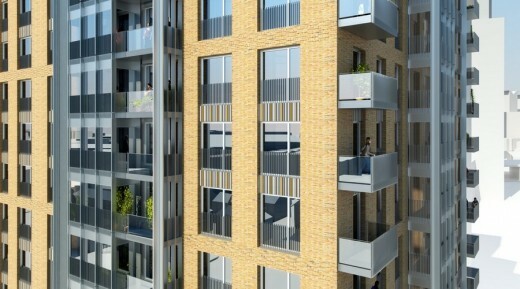 All residential units have access to a shared landscaped amenity area on top of the station box, in addition to generous private balconies and terraces. 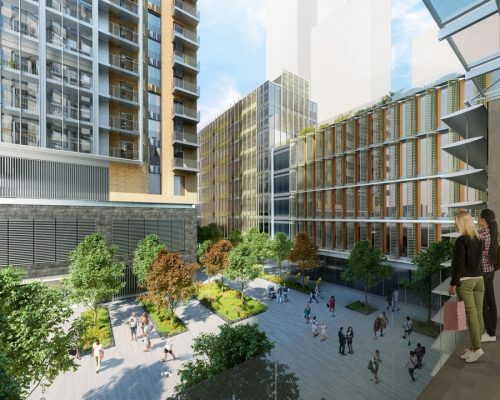 High quality brick, glazed terracotta, and metal facades are used throughout, giving a coherence and consistency to the façade treatments while allowing subtle colour differences to be expressed between each building. 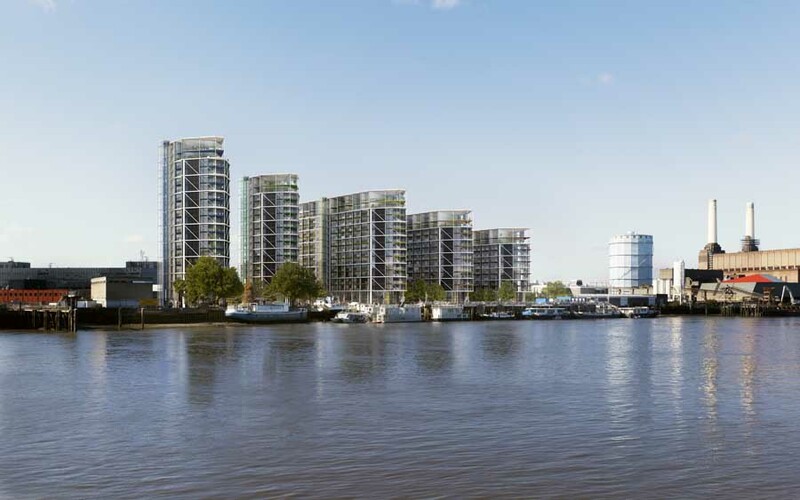 The development will help establish the Nine Elms Station area as a quality residential, office and transport hub and will contribute to the developing character of the Vauxhall Nine Elms Battersea Opportunity Area. Grimshaw is an award-winning, international architectural practice with offices in New York, London, Melbourne, Sydney and Doha, employing over 400 staff. Committed to providing architecture of the highest calibre, the company’s work is characterised by strong conceptual legibility, innovation and a rigorous approach to detailing, underpinned by the principles of enduring and sustainable design. Complete architectural services are provided: master planning, feasibility studies and planning applications through tendering to construction and inspections on site. Grimshaw’s international portfolio covers all major sectors, and has been honoured with over 170 international design awards including the prestigious Lubetkin Prize. www.grimshaw-architects.com.